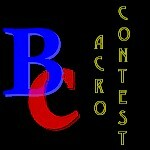 The current Acro is: Topic: "Resolutions kept or not kept"
1. Acros must be proper words ( No combined words please). 2. Acros MUST fit the Topic and MUST fit the Word.